Sorry for the delay but a lot has happened in the last month... In the last report we had just shot the white paint. After allowing it to harden a few days we scuffed and laid out the lines for the silver stripe as well as the blue. After taping off the entire plane, we shot the silver. The next day we taped off the silver and shot the blue paint. After shooting the blue, we applied the placards using painters mask (stencils). I ordered my masks from Aerographics.com. They were great to work with and the price was fairly cheap. 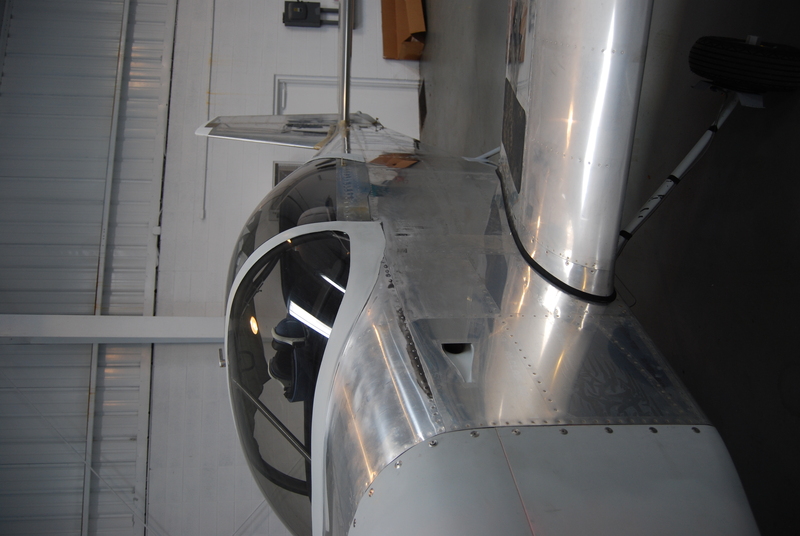 Next, we scuffed the entire plane and then shot two coats of clear coat. 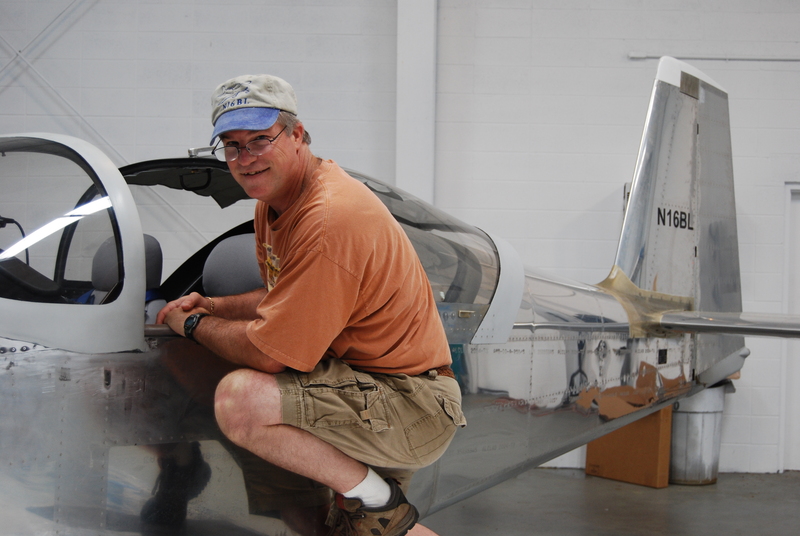 The next day, Karl Lambert and I re-installed the flight surfaces, UHMW protective tape, fairings and inspection panels. The next day, Terry Tibbitts dropped by and we did a compression check. The outcome? 79/80, 79/80, 79/80 and 78/80. We then installed the top cowl and took her up! 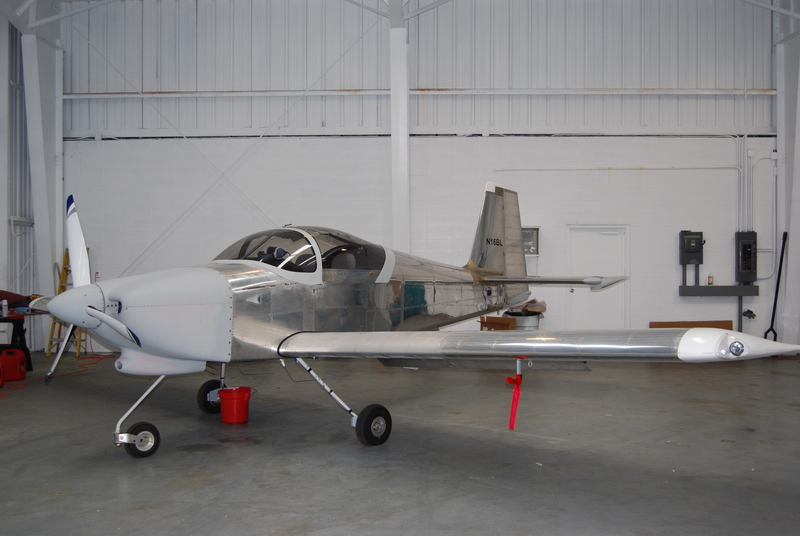 Today Imre shot the acid etch and primer on the fuselage then went to his shop to spray primer on the fiberglass parts and flight surfaces. 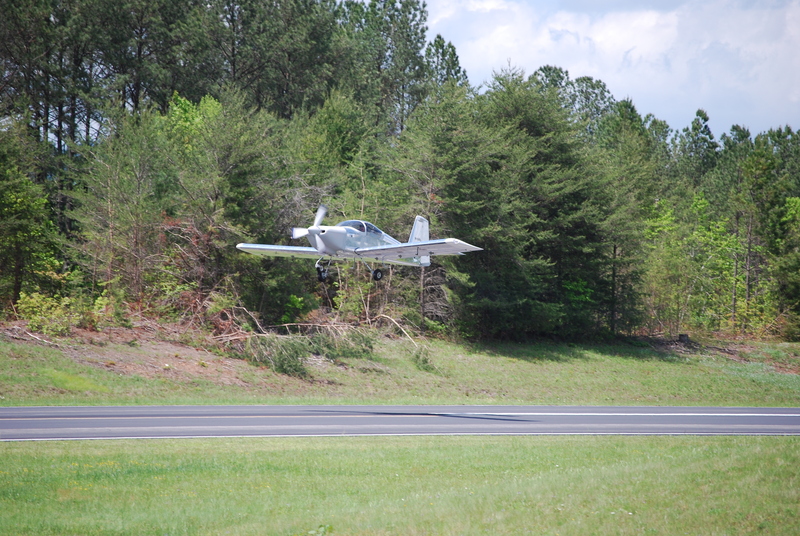 After that, he returned to the airport and shot two coats of white on the fuselage. 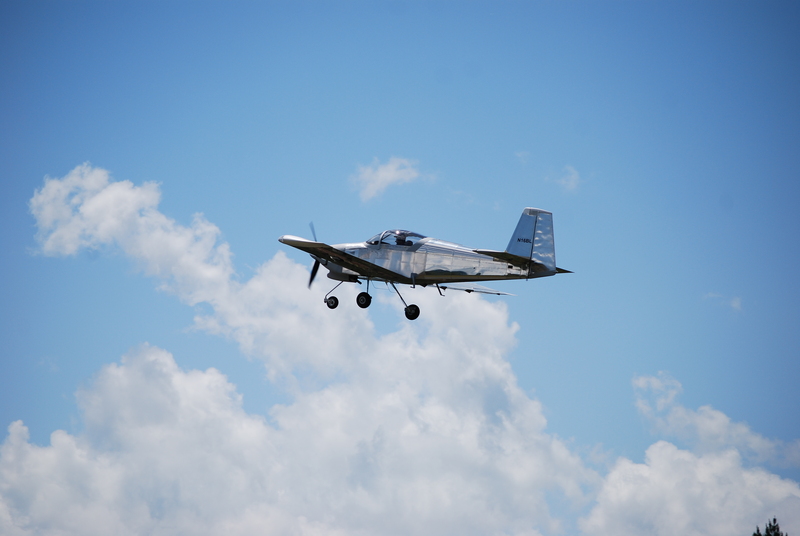 It's been a while since I last updated the website but I've been having too much fun flying. Lynne and I have flown to Charleston, SC, Destin, FL and twice to Texas. I now have 120 hours on the plane and she needs a paint job. First, I needed to find a painter. 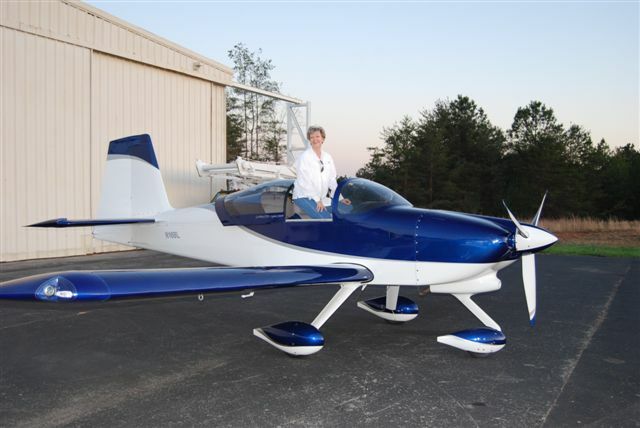 Fortunately, Jim Olson found a local guy who he had paint his new RV-12. The paint turned out so impressive I decided to use him as well. 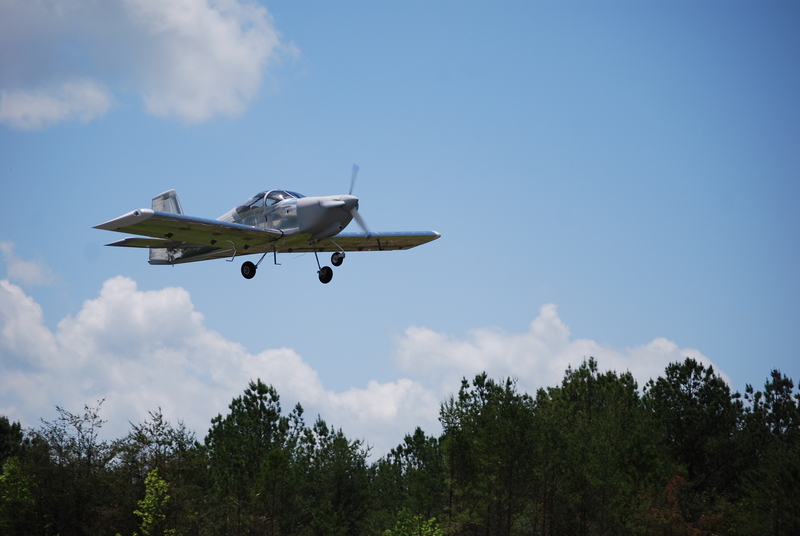 Imre Fratilla is living here now since moving up from Florida where he has lots of experience painting aircraft. Second, I needed to build a paint booth inside the big hangar at Copperhill. Here are a few shots of the painting process. The paint booth is 30'x30' and constructed by running 1/8" cable and covering it with 6 mil plastic sheet. I first removed all the fiberglass fairings and flight surfaces so Imre could work on these items at his shop. 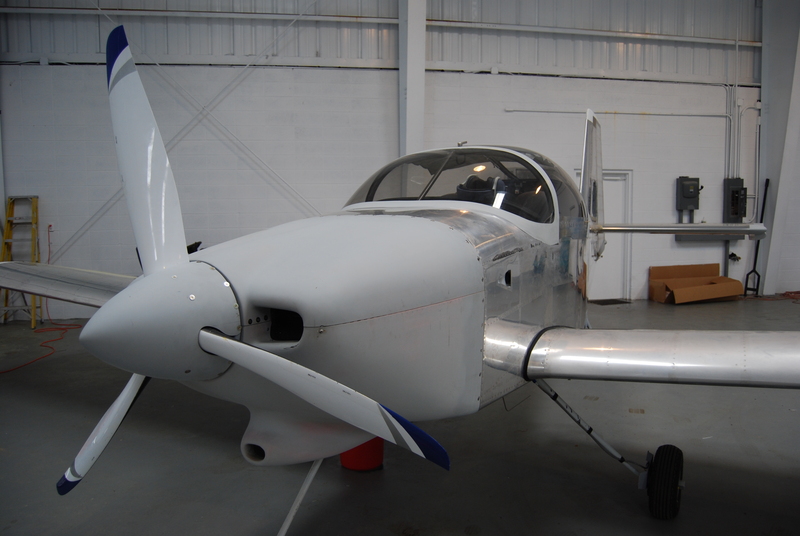 We then taped off the fuselage and wings for paint. We wet scuffed the entire plane with scotchbrite pads and cleaned with a degreaser. The first coat is an acid etch which turned the AL a bright gold color similar to alodining. This is followed one hour later by a gray paint sealer. Once the paint sealer is applied you have a seven day "window" of time to shoot the paint. 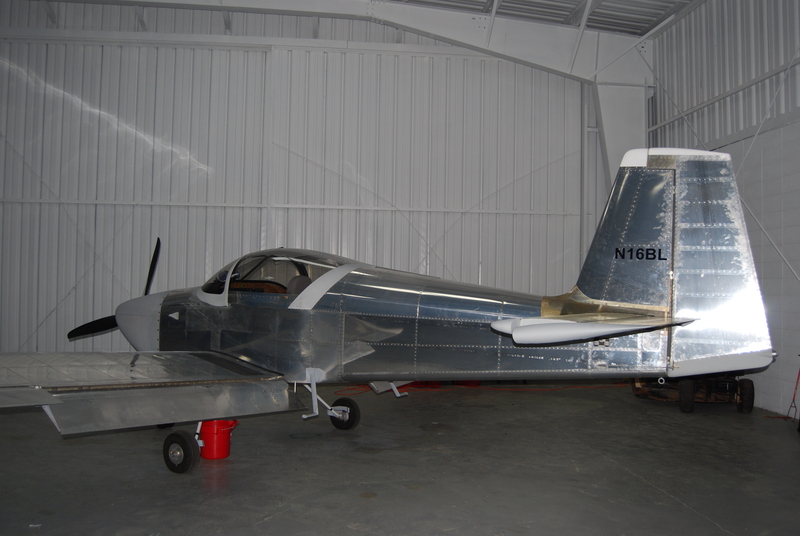 Finally, the white paint is applied to the empennage and wings. When this is dried we can bag the wings and emp and start the whole process over again for the fuselage. I ordered all the decals for the plane as paint masks from Aerographics. They are very helpful and their prices are quite reasonable. They also can turn orders around and ship the same day. I have been spending the last few hours flying various instrument approaches and learning the ins and outs of the avionics. I am documenting the steps on a new page located under the main menu titled IAP (Instrument Approach Procedures). 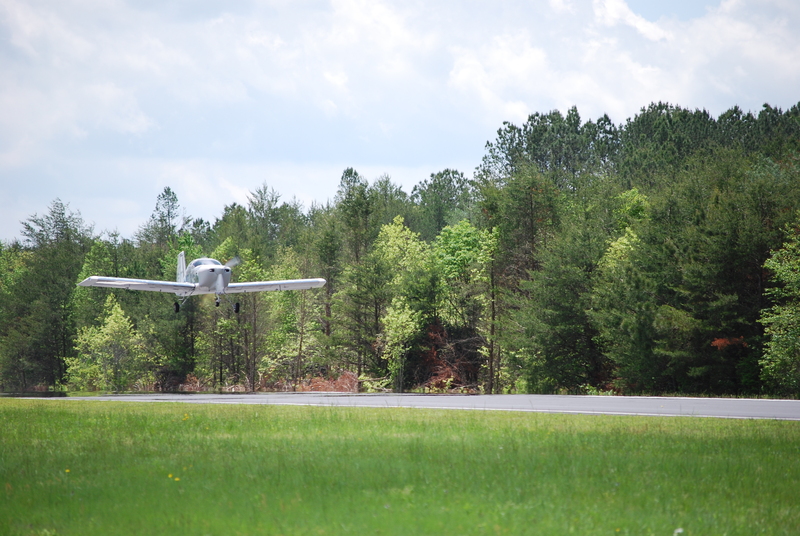 Today I was able to fly five hours and was able to finish the flight testing regiment. I have the nose gear fairing installed but realize the test results will be quite different once the gear and wheel fairings are installed. Most of the day I was throttled back to 2250 rpm, 160-170 mph and sipping 7.9 gph. Here is a shot of my back yard, or better known as the Chattahoochee National Forest. 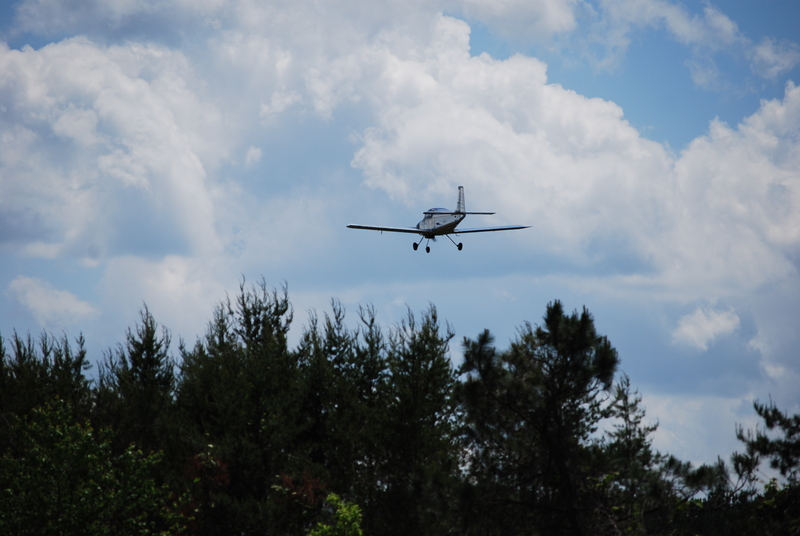 I was able to fly two RNAV (GPS) approaches using the GNS430W coupled to the autopilot. I was surprised how smooth the units track the lateral and vertical guidance. 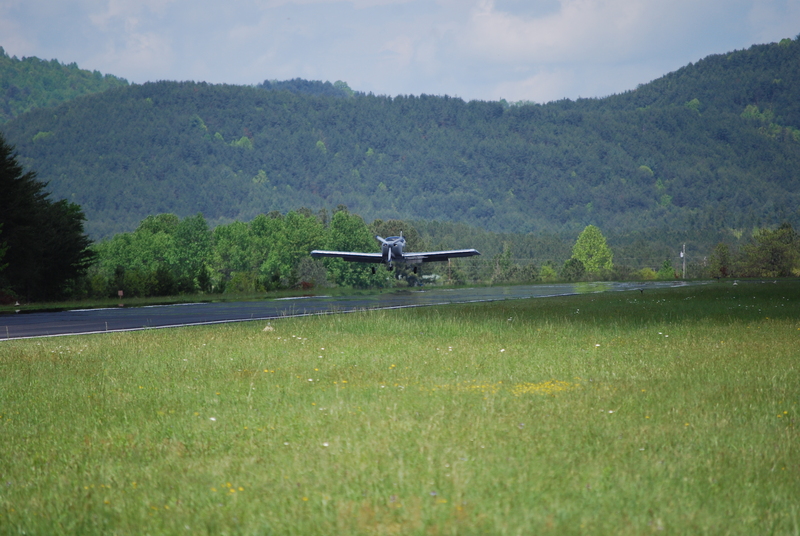 Today the weather was halfway decent and I was able to put some time on the plane (4.0 hrs). 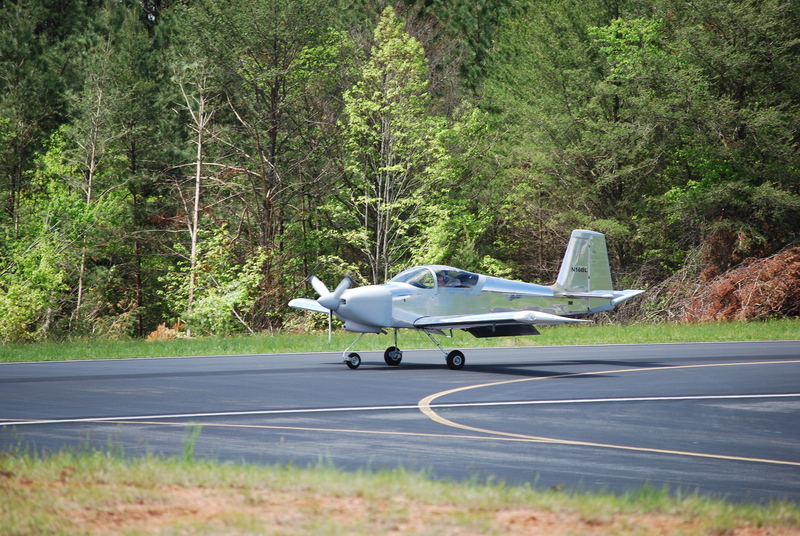 I hit several airports as I ran the outer circuit of my flight testing area. So far, so good. The engine is strong and the plane flies straight and true. 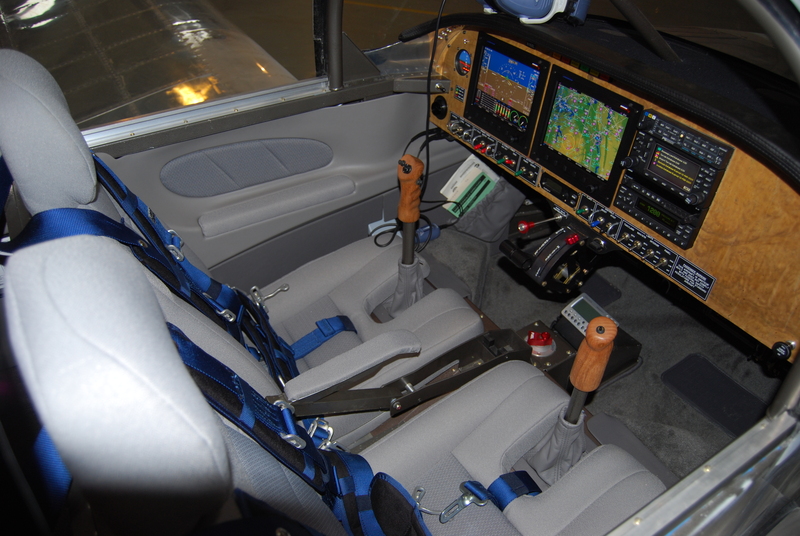 I'm still working on learning the avionics but this is progressing well. I am really amazed how comfortable my seats are for extended flights. 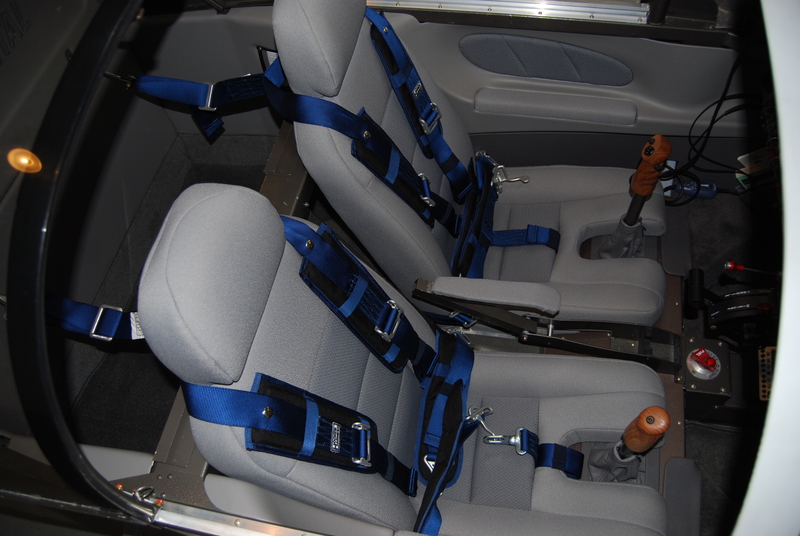 The Classic Aero Aviator seats are worth the money! 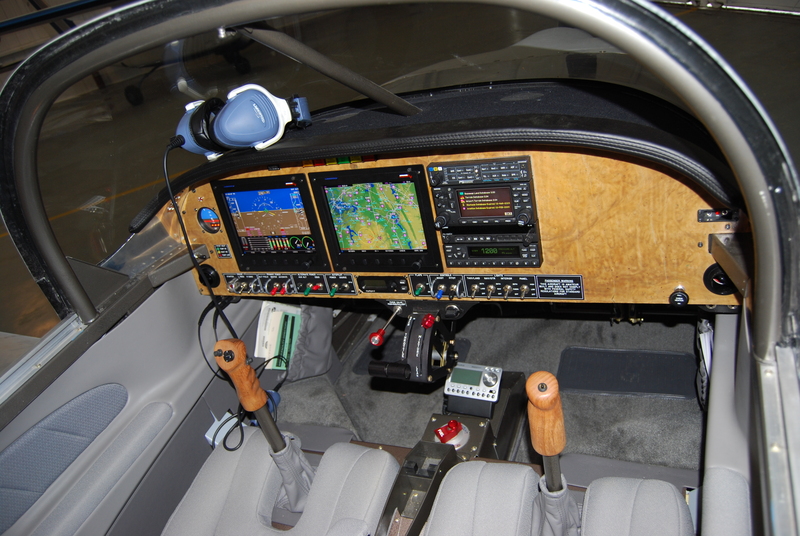 Rob at Advanced Flight Systems posted a screenshot of the new EFIS screens with synthetic vision I will be installing. Hopefully they will be shipping in early July. 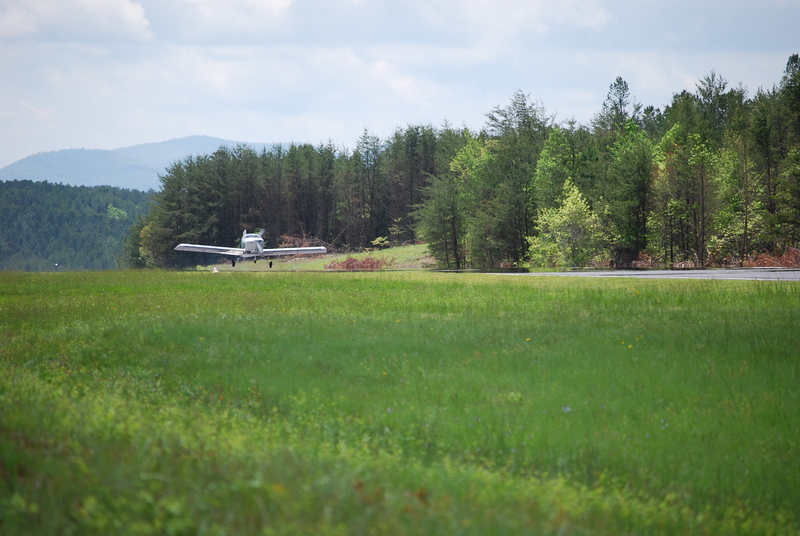 Today I flew over to Blairsville where our EAA Chapter hosted a fly-In. 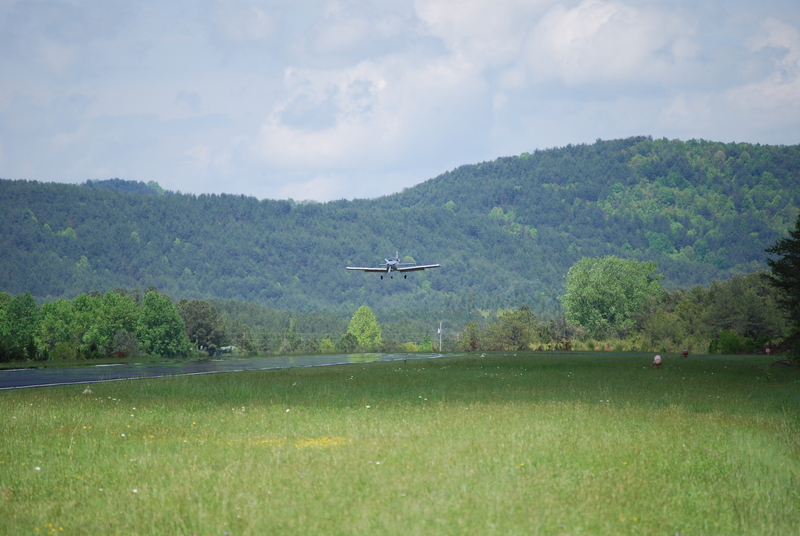 The weather was MVFR with a low ceiling everywhere around us so the airplane turnout was minimal. However, we had quite a few folks show up by car so the event was a success. 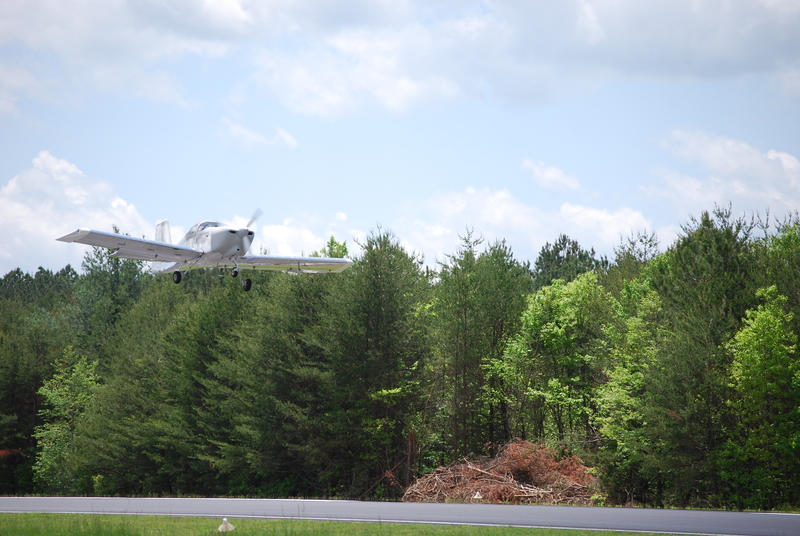 I flew about an hour today and about 3.7 hours yesterday. Now that the engine is broken in, I can now run it wide open and lean the mixture for better fuel economy. Here is a shot of the home place. Here is the collapsed Isabella Mine in Ducktown, Tennessee. It is an abandoned copper mine from the 1960's. There are several huge holes in the earth where mines collapsed nearby. Today I put on another 2.3 hours on the plane while flying to five different airports. During one extended climb-out (due to mountains) the CHT's hit 390 so I reduced the rate of climb from 1000 fpm to 500 fpm and they dropped nicely. Thanks to Radomir Zaric, my SL40 COM is working perfectly! The XM Weather looks fantastic on the AFS screens. With 8.93 hours on the Hobbs meter, I decided to pull the cowls and check everything out. I was pleased to see everything holding up well with just a small coating of oil down near the exhaust exit. 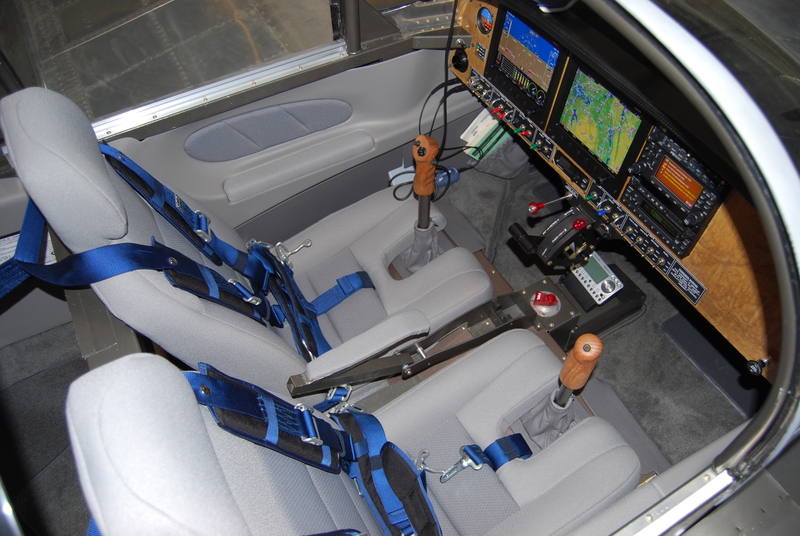 I have been slowly testing the avionics and so far find everything working well. I did see the CHT sensor for cylinder #3 has stopped reading and my APRS is not transmitting well but these are small issues to resolve. 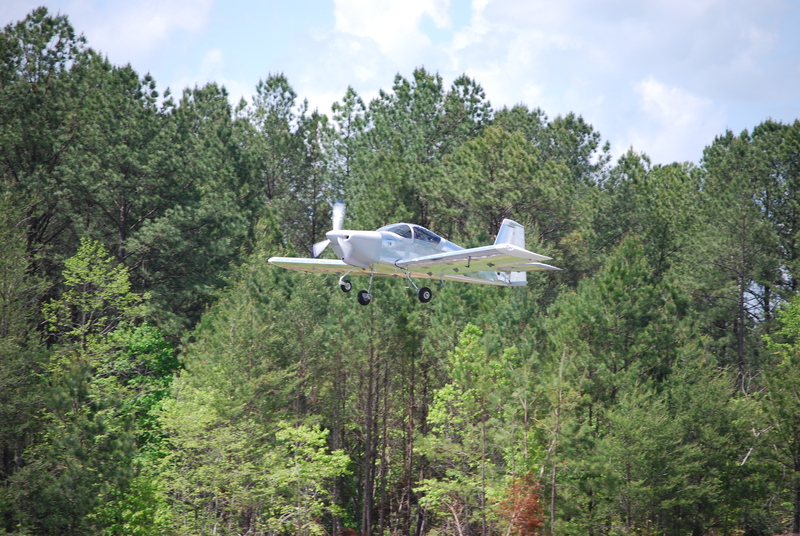 The TruTrak Digiflight II VSGV autopilot works flawlessly but I have yet to attempt to shoot an approach. For some reason the SL40 com is much louder through the intercom when transmitting than the GNS430W com even with the volume turned down as low as possible. 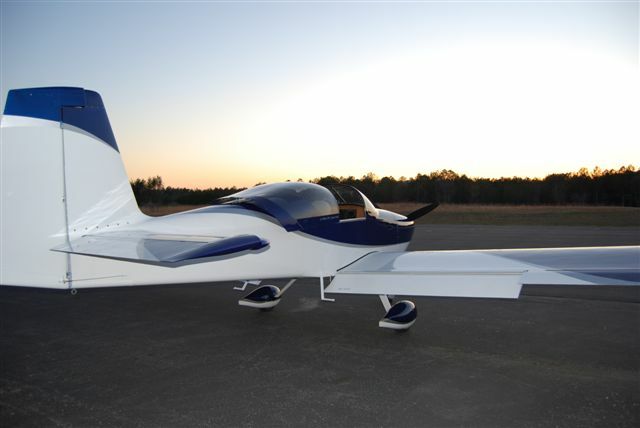 The plane is fantastic and is a real joy to fly. I have been careful to keep the power setting at cruise to around 65% - 75% and full mixture for engine break-in. CHT's have seemed to top at 360 degrees and oil temps at 175 degrees. I will be doing her first oil change at 15.0 hours and switching to Aeroshell 50 for the Summer months. 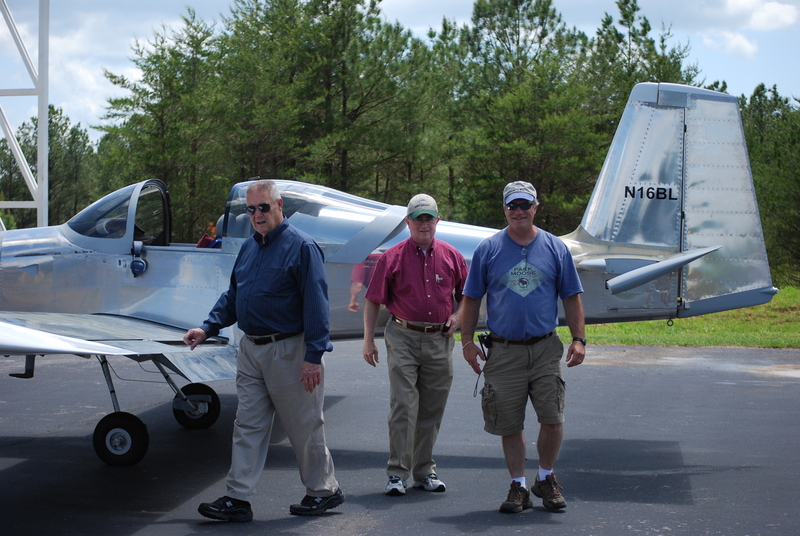 My CFI and Test Pilot, Vern Darley, flew in this morning and we flew some T&G's in his RV-6A. We then ate lunch until 1:30 when we met everyone back at the airport. 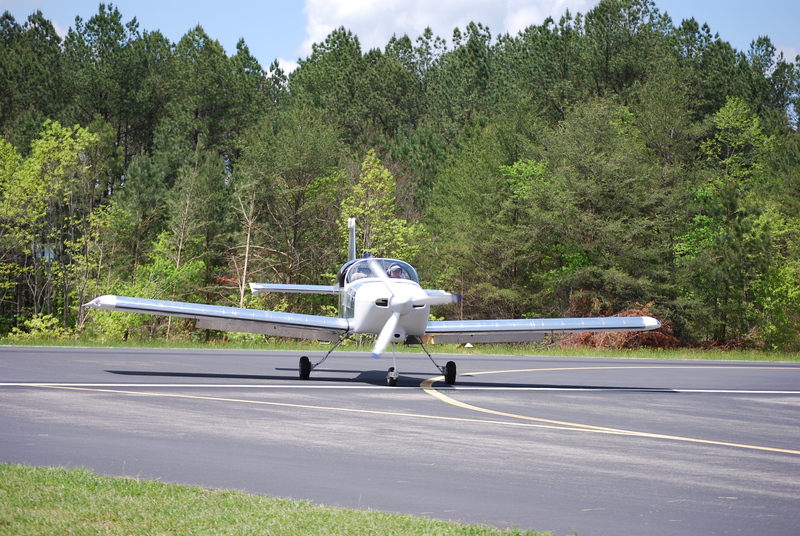 We pulled N16BL out of the hangar and after a brief orientation Vern fired her up and taxied out. After 3 years and 5 months, she ate up the sky! Vern flew her for about 30 minutes and recorded stall speeds of 52kts (clean) and 48kts (dirty), although it never really stalled... it "mushed". Trimmed up it flew hands off straight and true so he landed her and we pulled the cowl to check things out. No runs, just a few drips so we buttoned her back up and Vern took her up again. This time to check high speed stability. 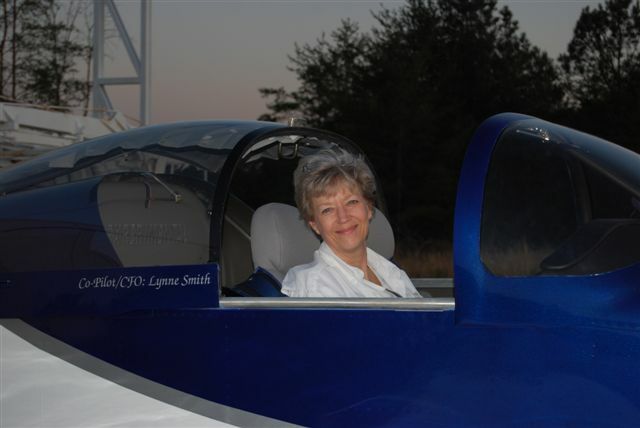 He got her up to 175 kts (198 mph) and pulled 3 G's. After a high-speed pass, he brought her in. Time for ME to fly! 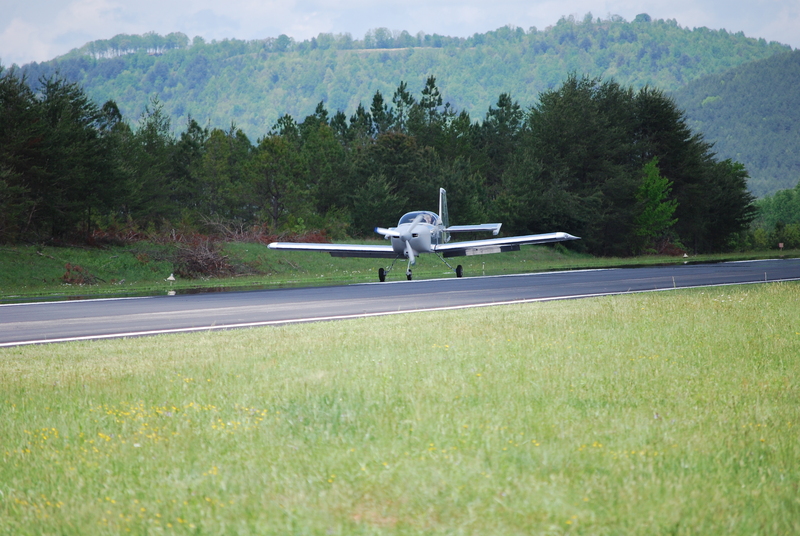 I took off and flew about 16 miles to Blairsville (KDZJ) where they have a 5000' runway and practiced landings. I then flew around the area for another 30 mins or so and brought her back to Copperhill and put her away. A great day. Special thanks to Jim Olson and Ben Bradley for flying chase and shooting video but most of all to my wonderful wife, Lynne, for allowing me the past 3.5 years to pursue my dream. I know that there are several folks watching for the first flight announcement but thanks to being OOT for Sun-n-Fun and a much-needed series of thunderstorms and rain, there has not been one day with ideal conditions. We were trying for last Friday and then again today, but the weather was horrible. 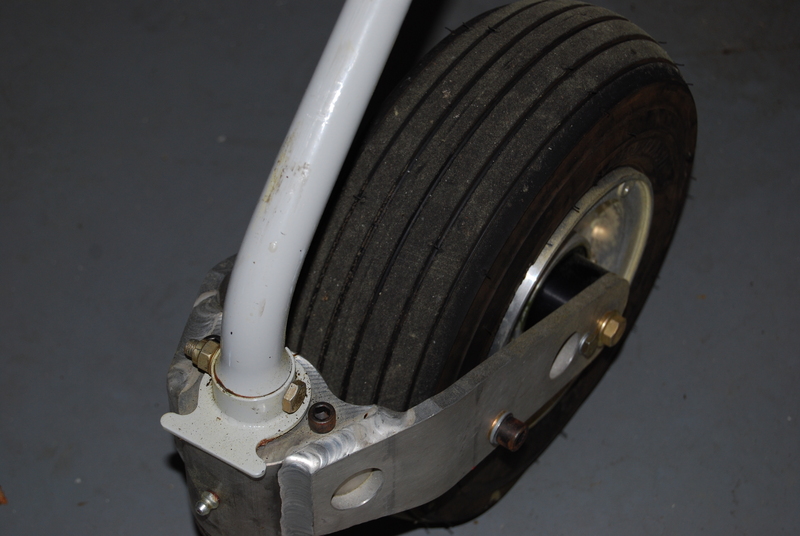 While waiting on the weather, I went ahead and installed the improved Matco nosegear wheel axle. 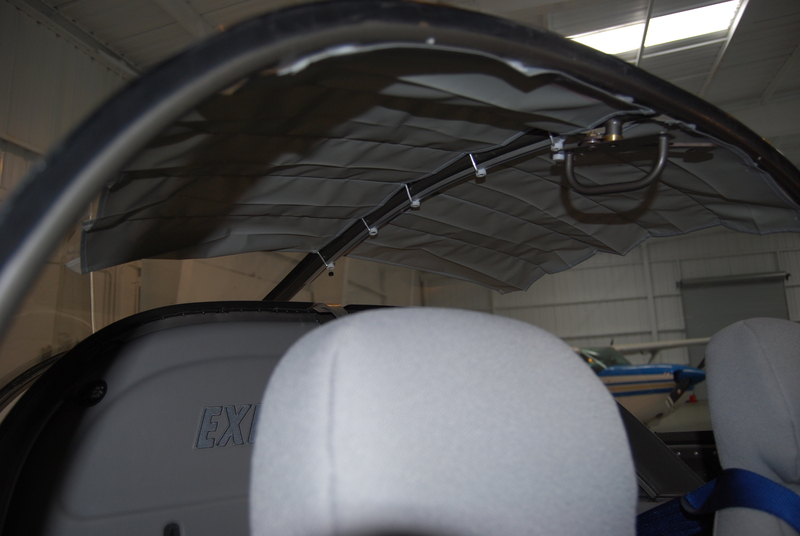 I also installed the Koger sunshade. 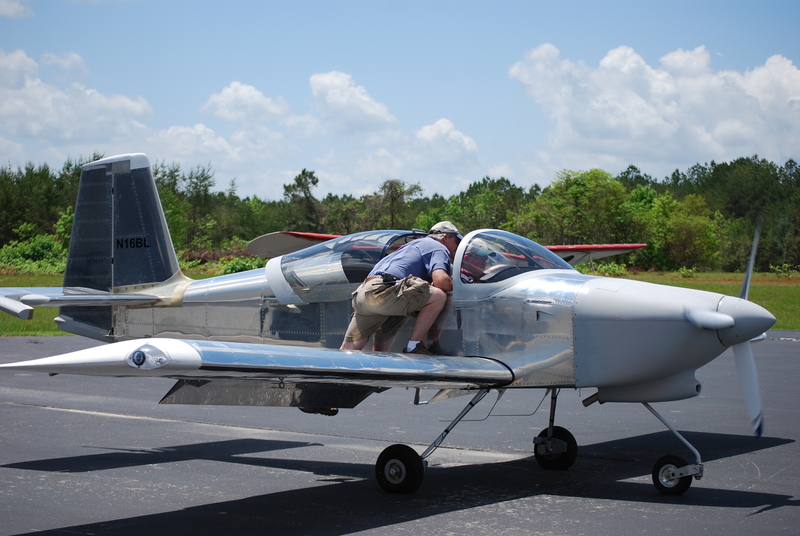 My DAR (Designated Airworthy Representative), Vern Darley, flew in around 8:30am and he got started inspecting the plane. 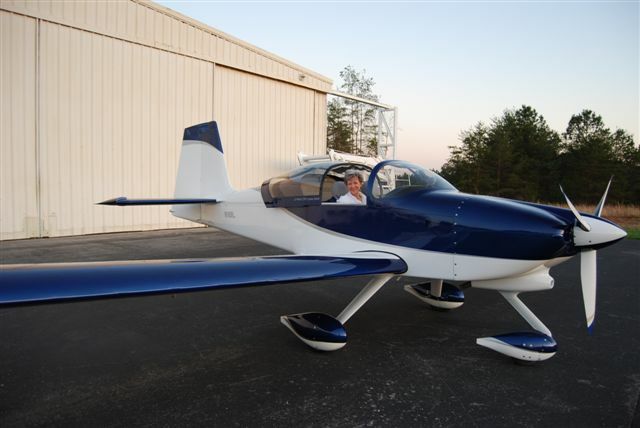 Amazingly, he found nothing wrong which needed correcting and by 10:30 N16BL became an airworthy aircraft. I spent the rest of the day putting the plane back together. 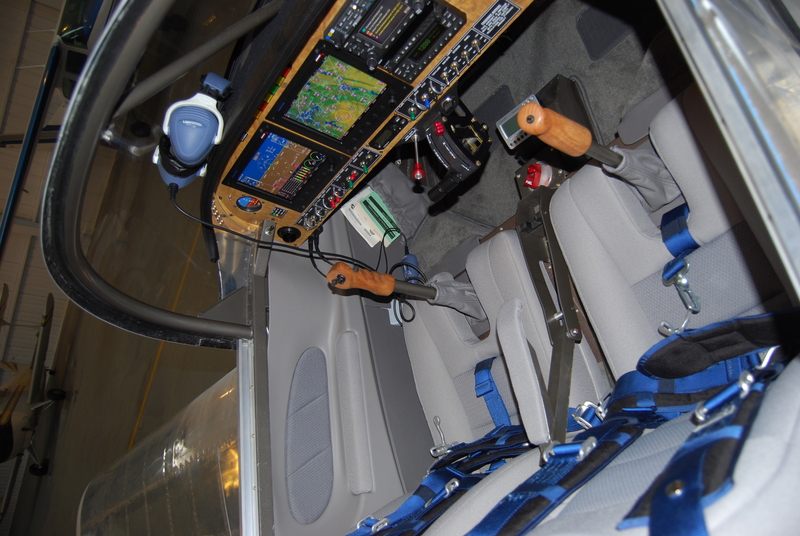 I am planning on first flight sometime in early May.